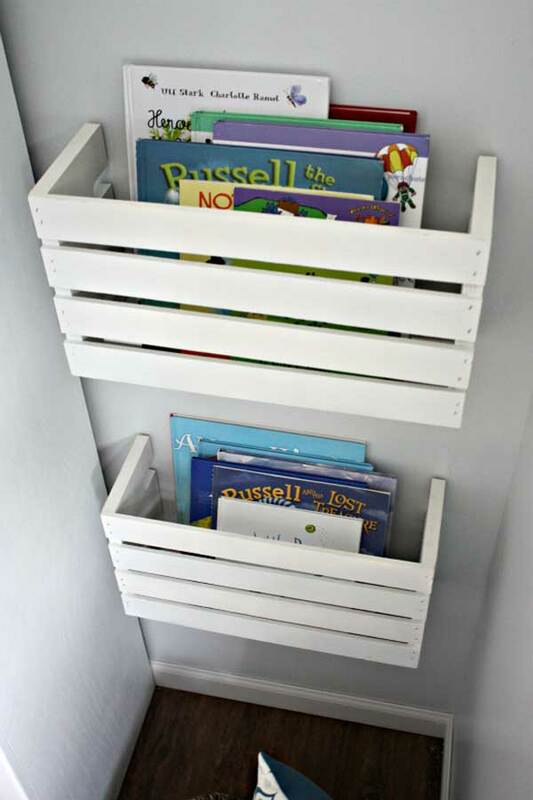 1.Place magazines and books on the headboard ribba picture ledge. 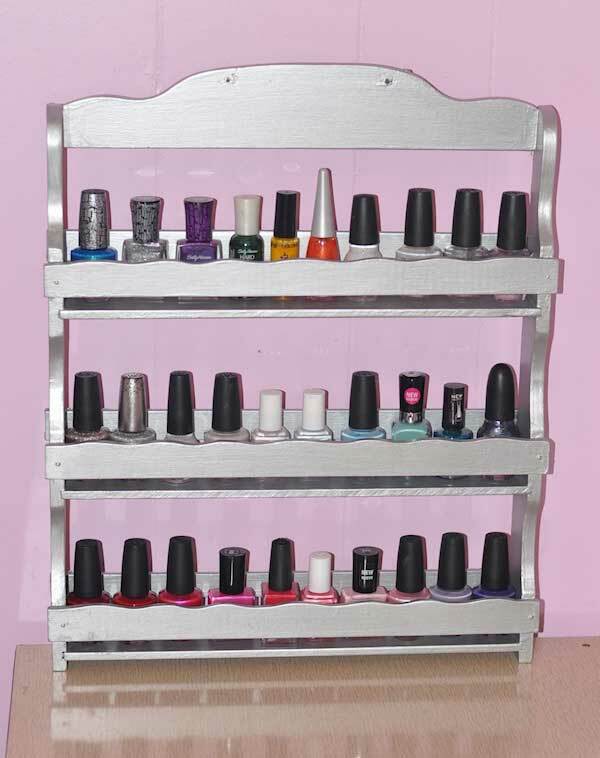 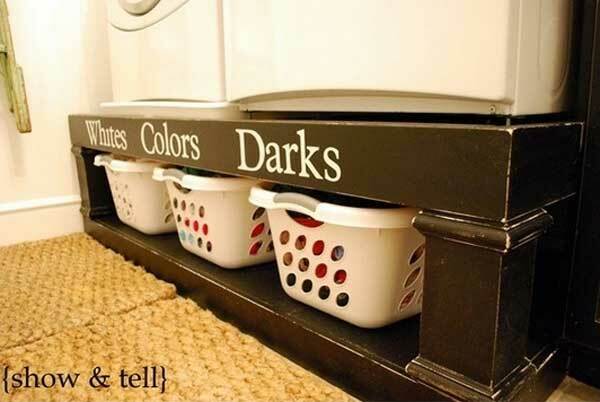 2.Clutch organizer using kitchen lid rack. 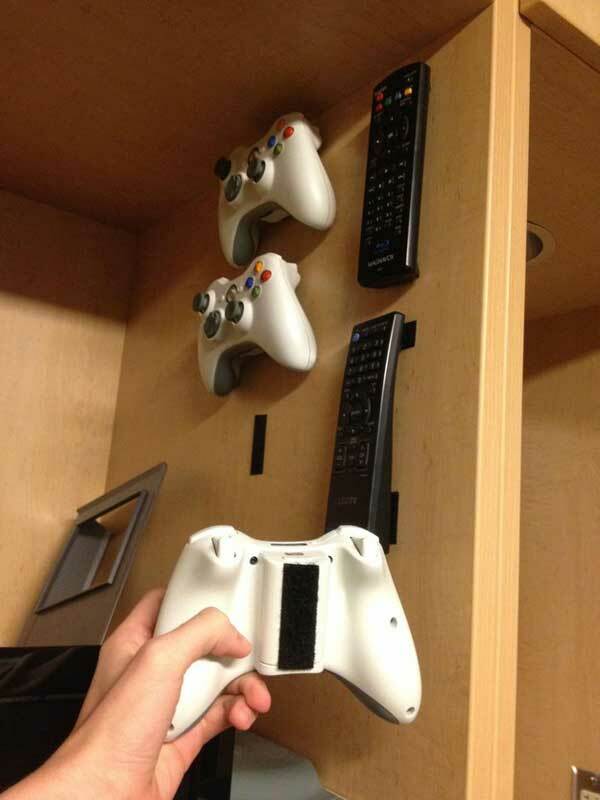 3.Use velcro to keep your remotes in place. 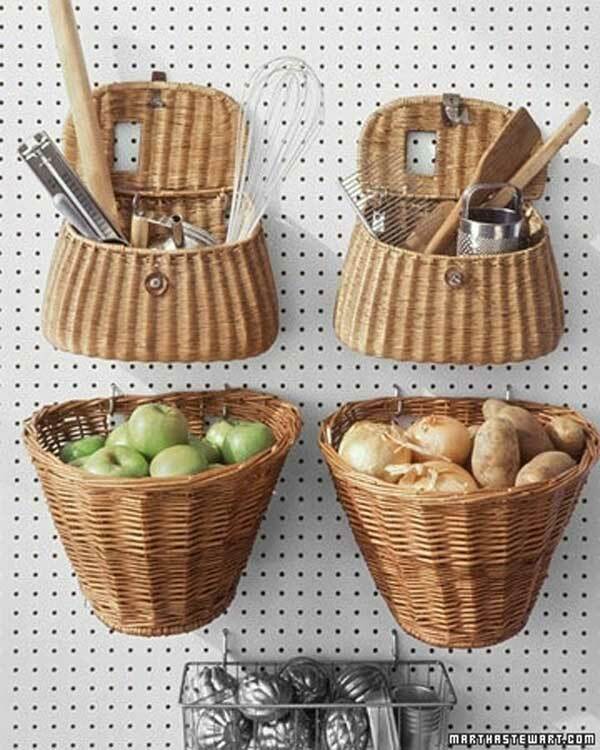 4.Use a pegboard to hang extra storage or utensils. 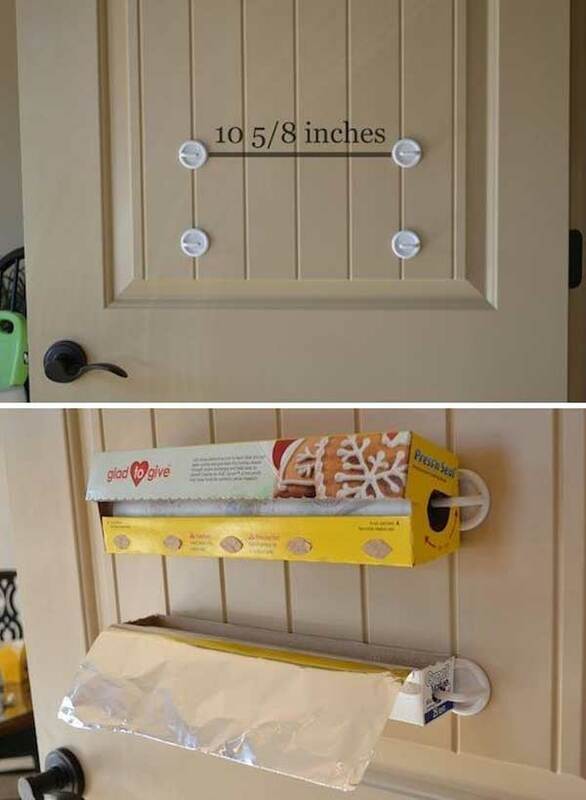 5.Hanging baskets under the cabinet. 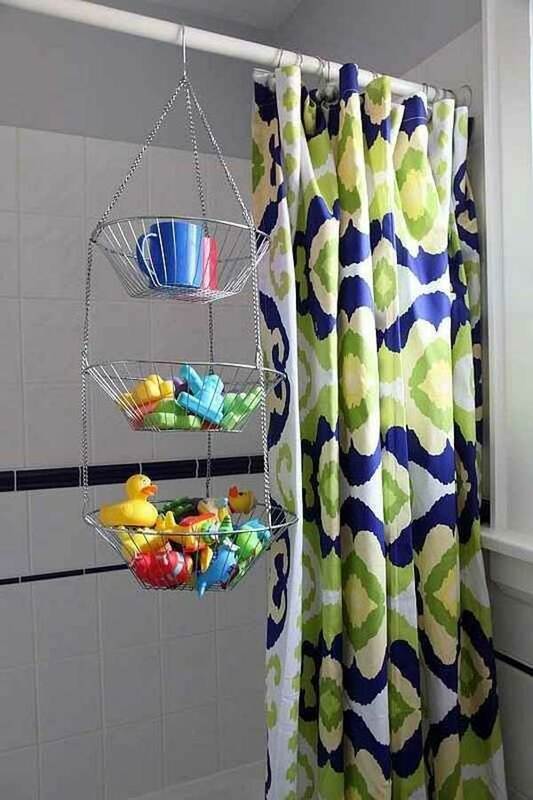 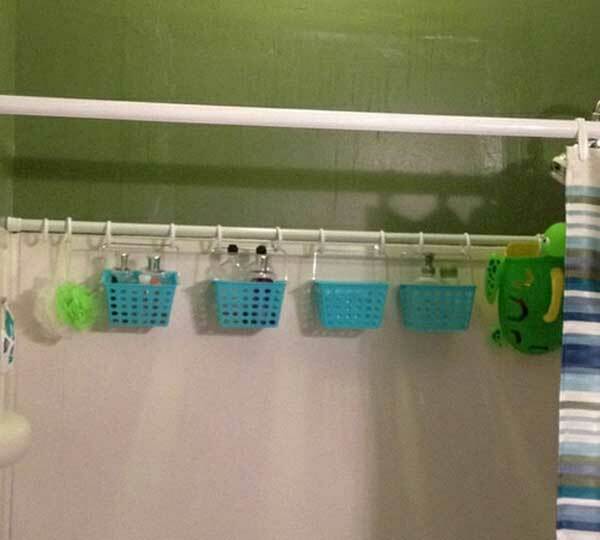 8.Use shower curtain rod to hang bath toiletries, poufs, kids toys, etc. 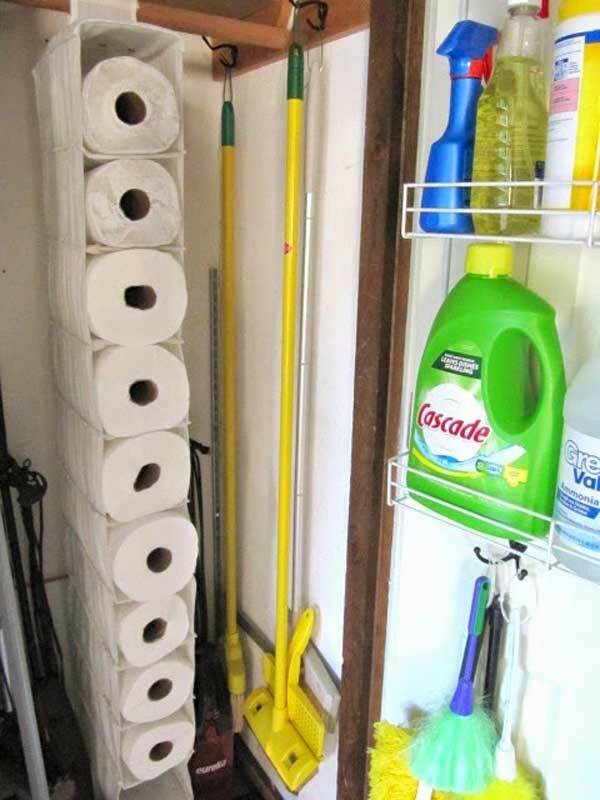 10.These shoe bags just velcro over the rod in the closet, perfect for storing paper towel rolls. 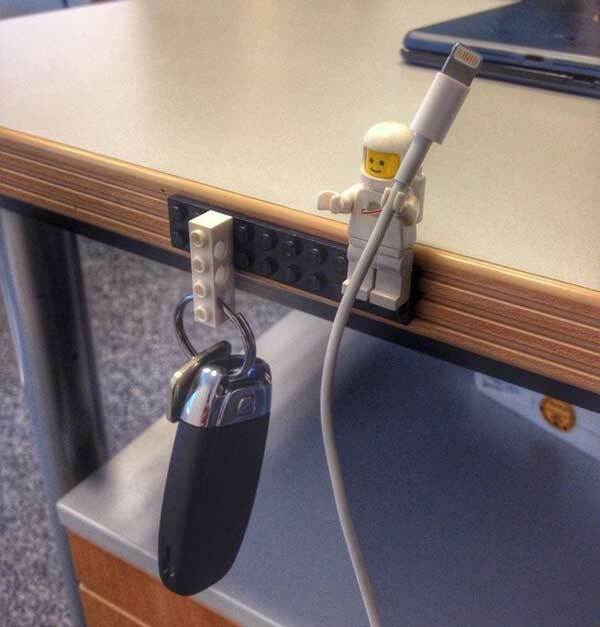 13.Use Legos as desk organizers – LEGO Key and Cable Holder. 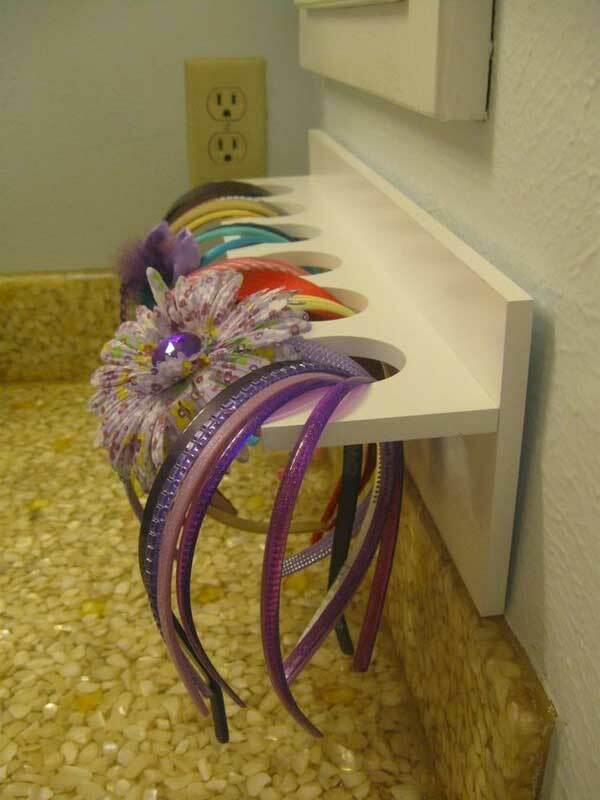 14.Use a wooden craft store rack to hold headbands. 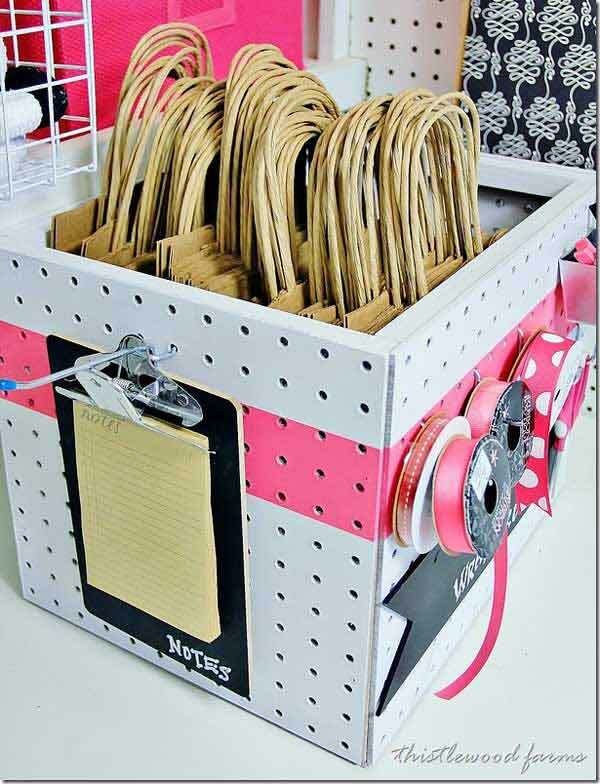 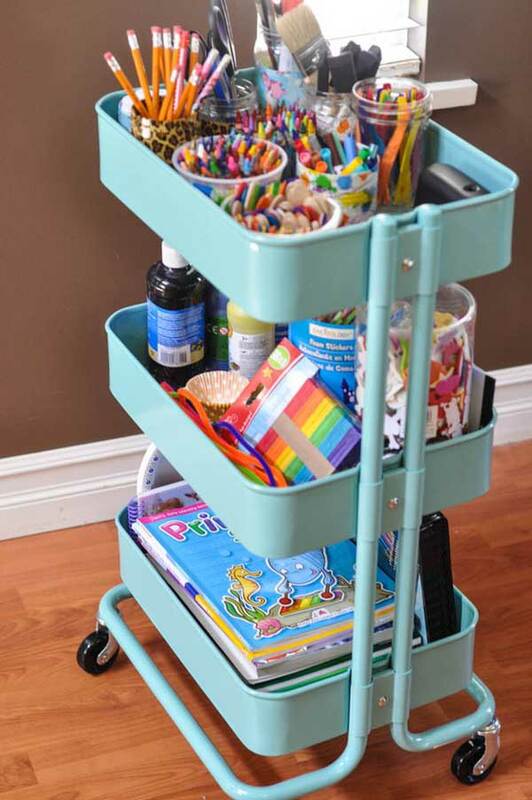 15.Turn a bar cart into a craft station. 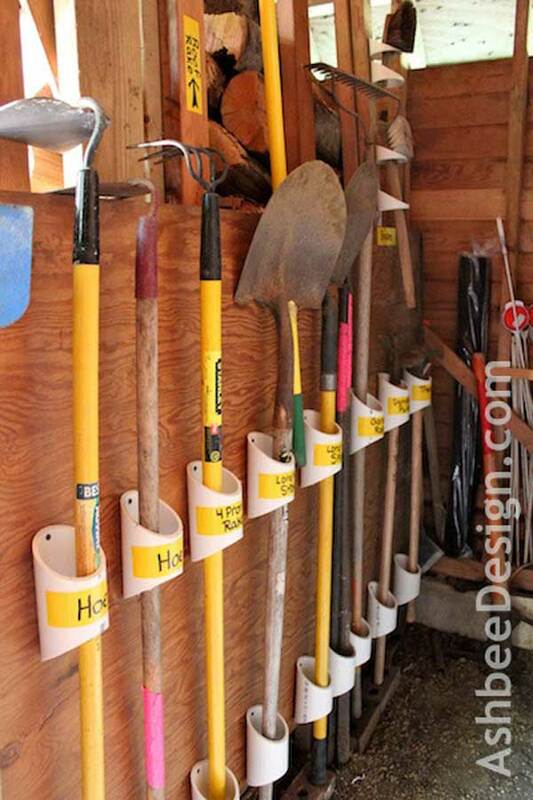 16.Using leftover PVC pipe, attach to garage wall to help organize your garden tools. 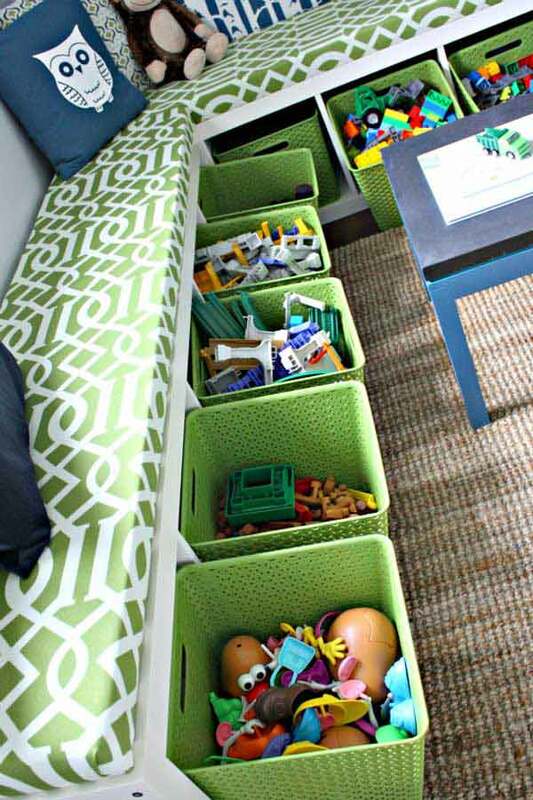 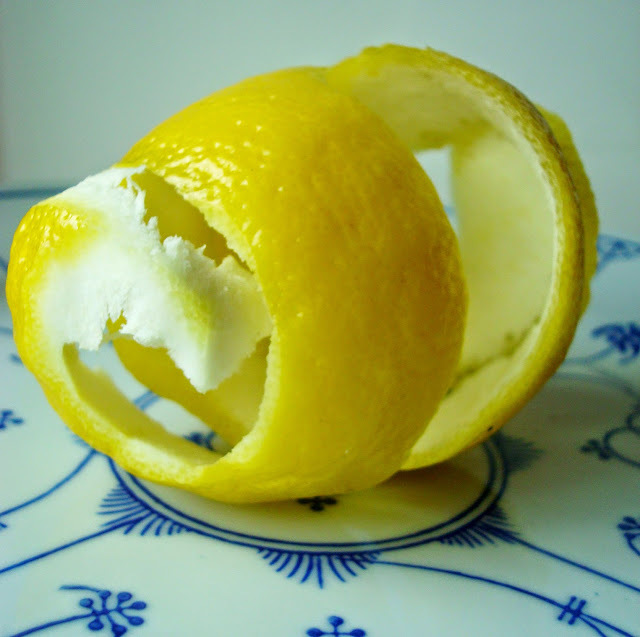 18.Use a fruit basket as a toy caddie. 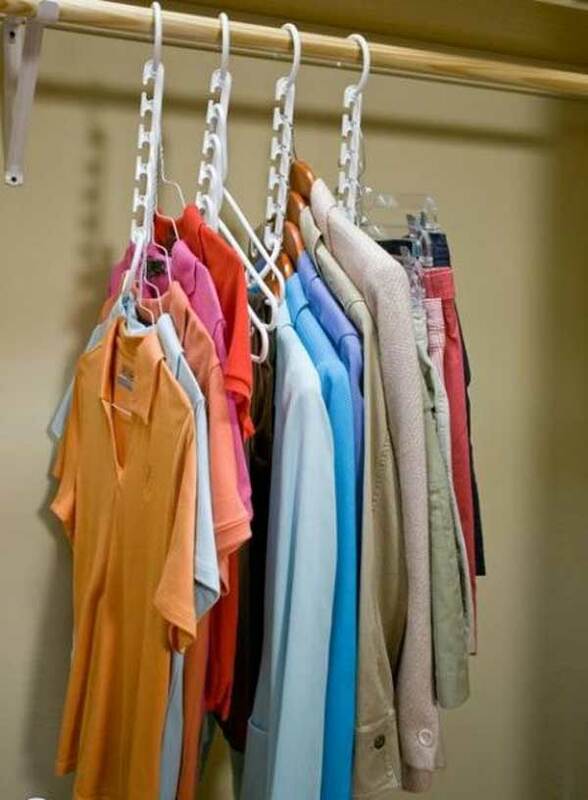 20.One wonder hanger make your closet feel bigger. 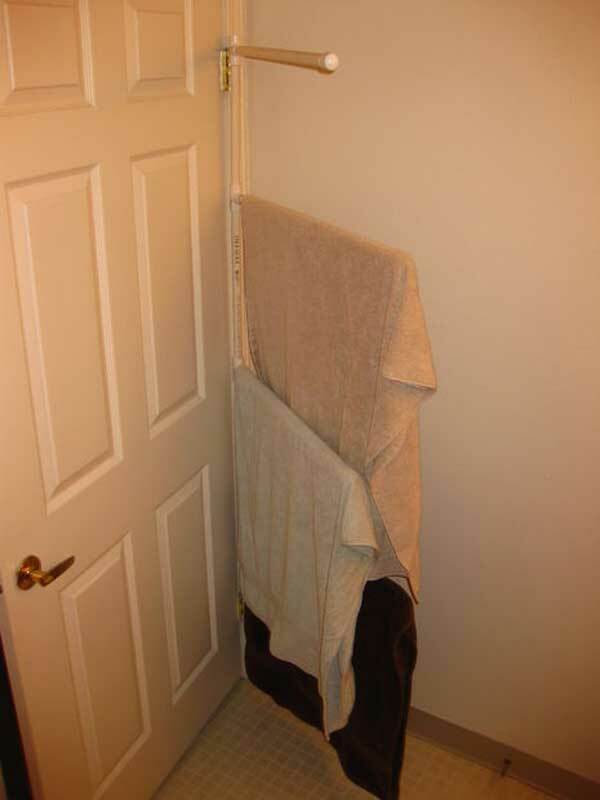 22.Keep a hair dryer using a magazine holder. 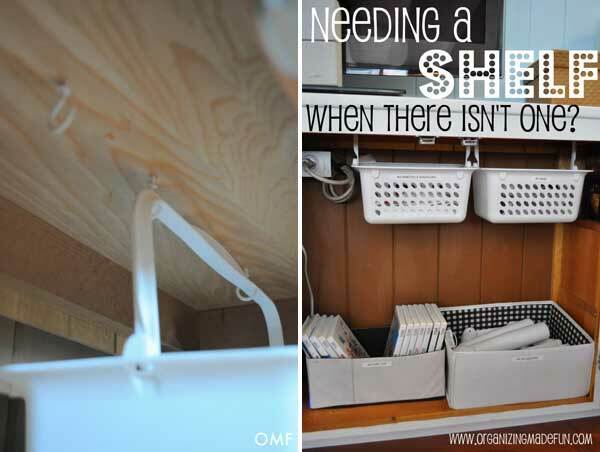 24.Line the area right underneath the ceiling with shelves. 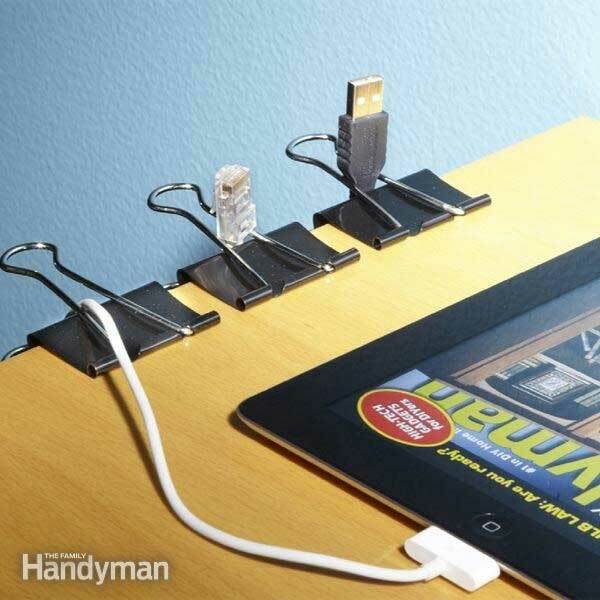 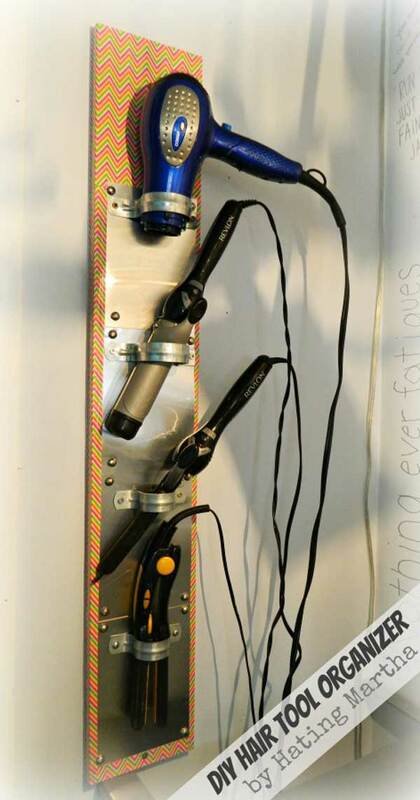 25.IKEA’s ribba as a ledge charging station. 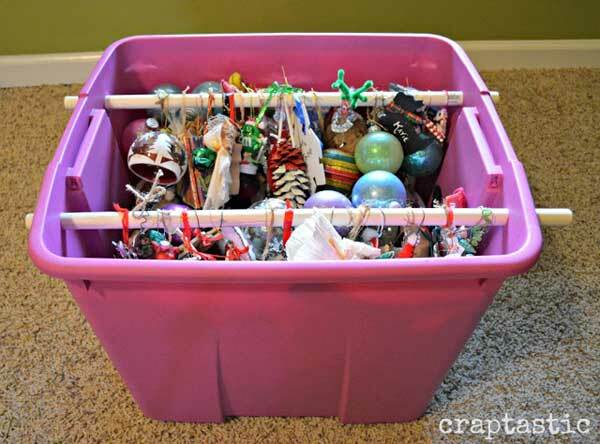 26.Cheap and Easy DIY Christmas Ornament Storage! 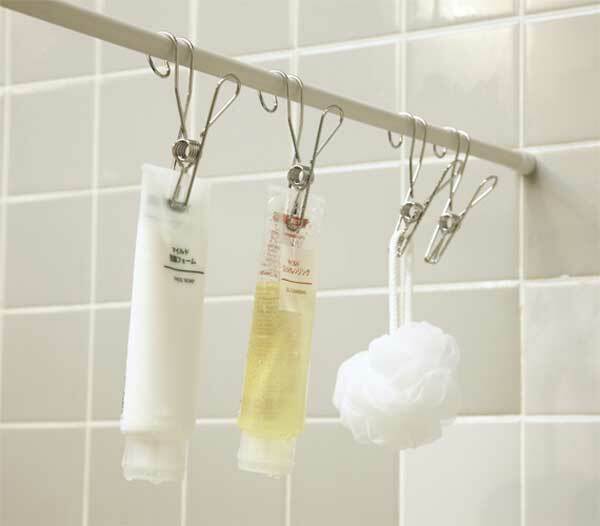 28.Use hooks to hold saran wrap and aluminum foil dispensers. 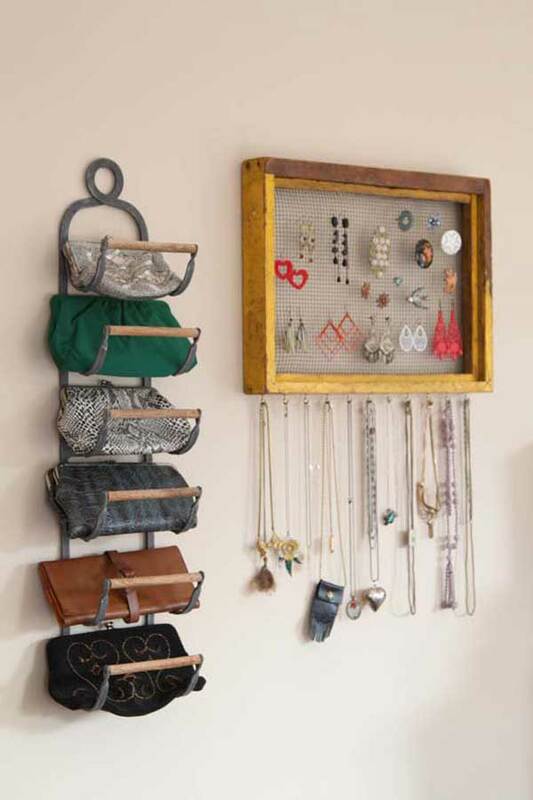 29.Repurpose a Wine Rack as a Purse Organizer. 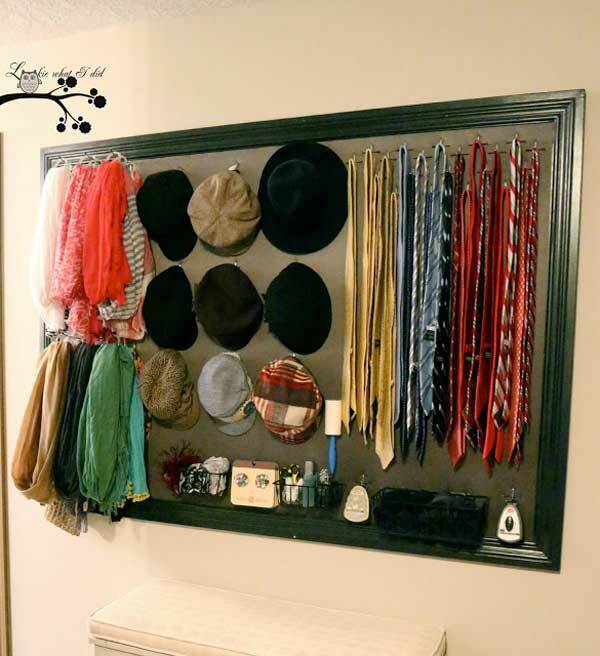 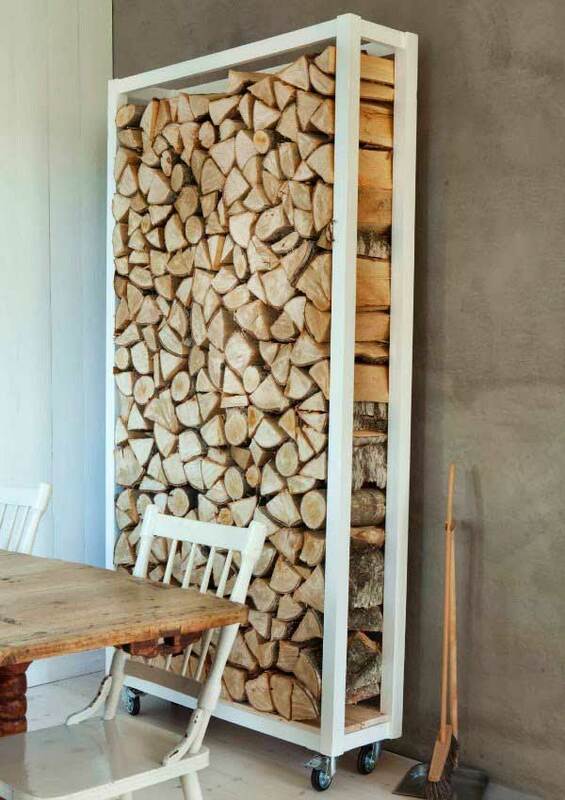 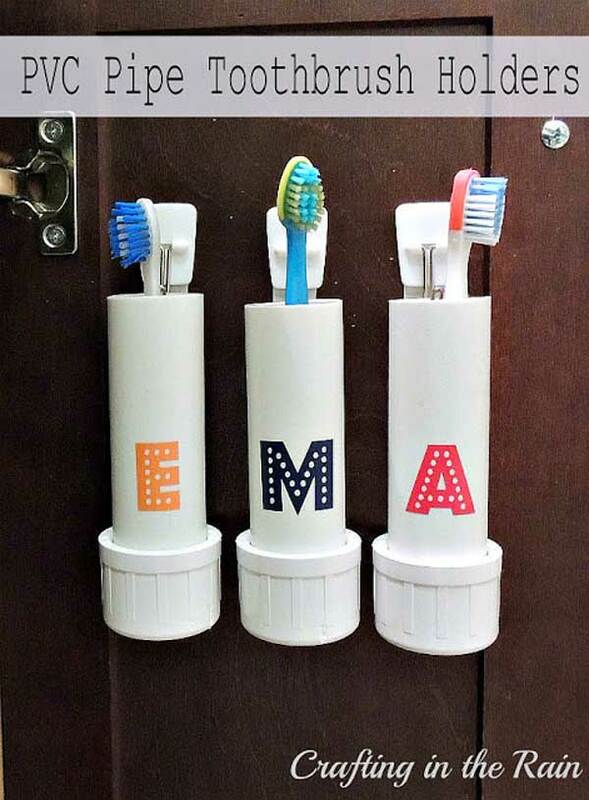 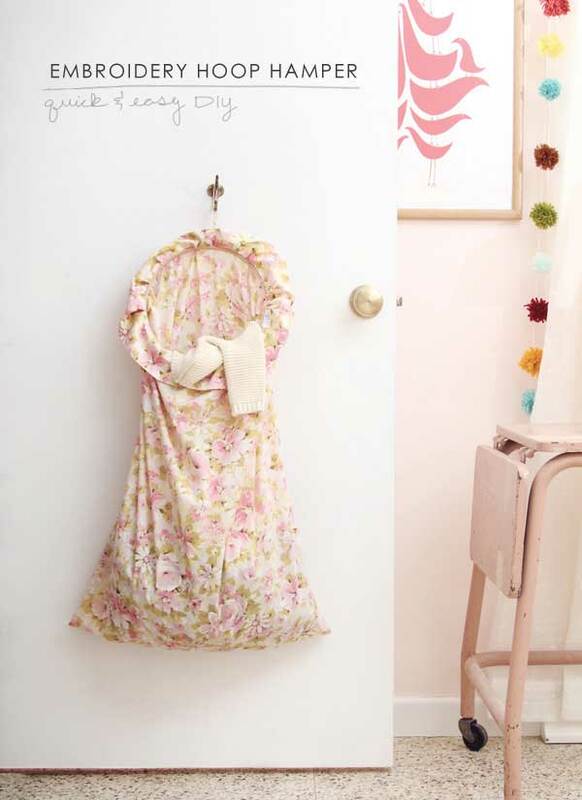 30.Hang towels and things on the back of your door. 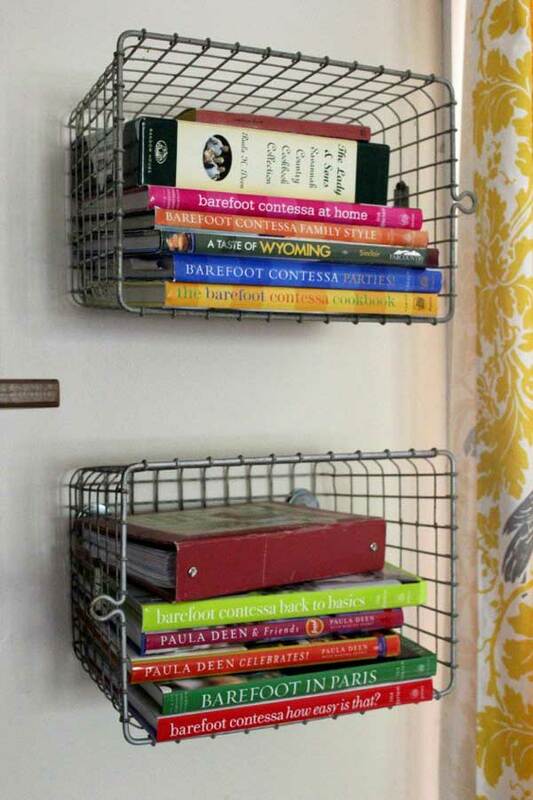 32.Keep your shoes organized by using tension rods. 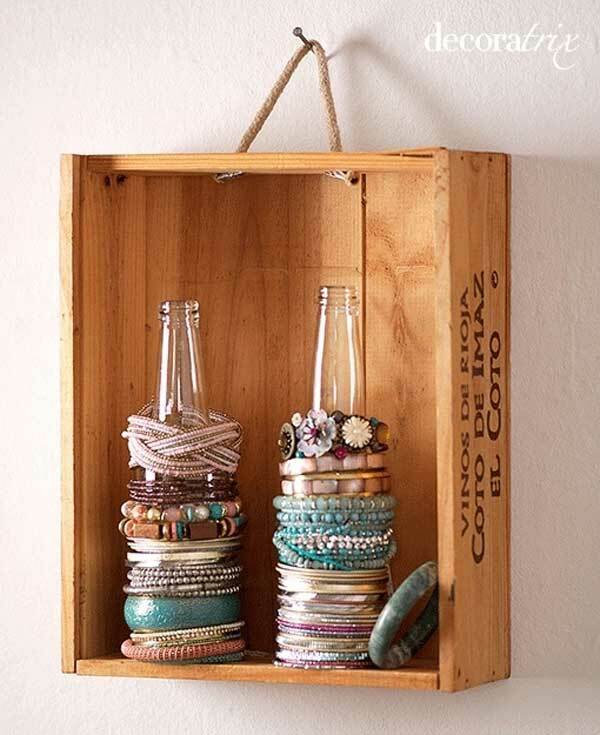 33.Turns out most bottles are just the right size for bracelet storage. 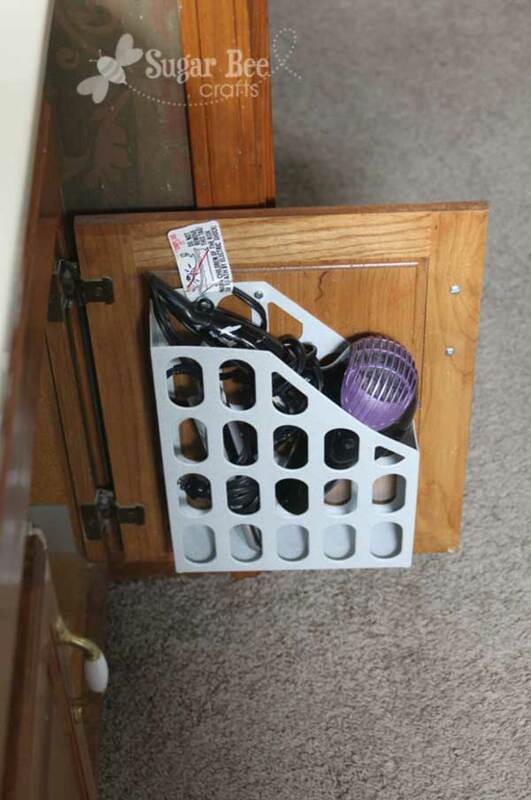 34.Use pipe fittings to hold hair styling tools. 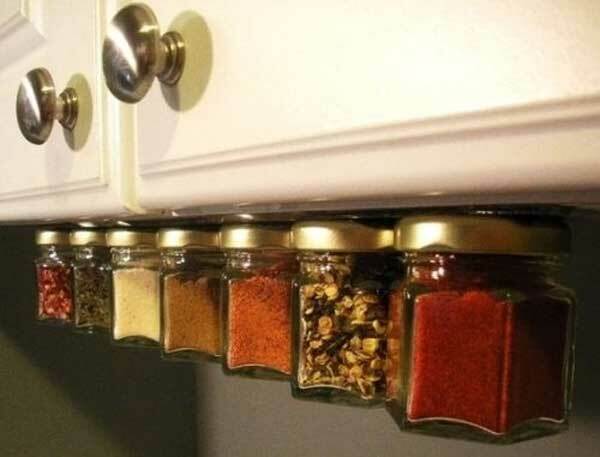 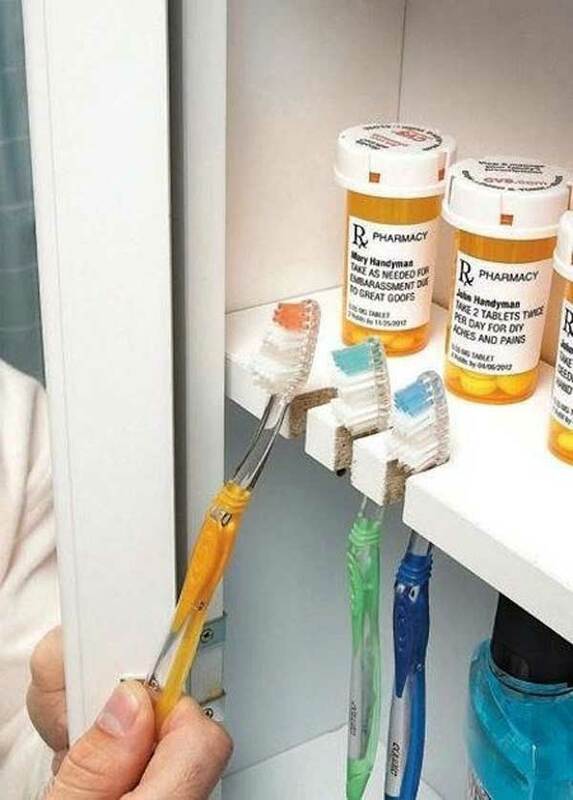 36.Put a magnet strip under your cabinets to store spices.